Senior Alexa Kanakry was the first of three Lebanon Valley College students this year to receive word that she is a Fulbright finalist. This is the second consecutive year that three LVC students will receive a Fulbright award. With nine Fulbright finalists since 2016, LVC earned recognition as a top-producing Fulbright institution by the U.S. Department of State’s Bureau of Educational and Cultural Affairs. The Fulbright Program is the flagship international educational exchange program sponsored by the U.S. government and is active in more than 160 locations around the world. Kanakry’s award is for an English teaching assistant position in Galicia along the coast of northwestern Spain. More than 600 students applied for the position in Spain with nearly 150 grants awarded. Kanakry, who visited several cities in Spain as a high school graduation gift, wanted to return to the country for several reasons. 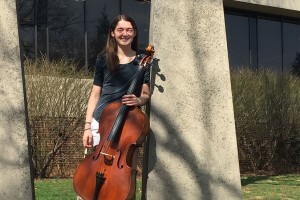 “My goal is to become fluent in Spanish, and I believe immersion in a Spanish-speaking culture is the best next step to take in that direction,” said Kanakry, a music education major. “I loved my first experience in Spain and knew that I wanted to thoroughly explore more of the country. I was also inspired by Dr. Carmen Garcia-Armero, a professor at LVC who is from Spain, and a class she taught on Spanish culture. Learning about the country from her has made me want to go back and experience it first-hand with my new knowledge,” she said. Along with teaching English and exploring the country, Kankry wants to delve into music either through teaching or playing with a school, church, or community program. 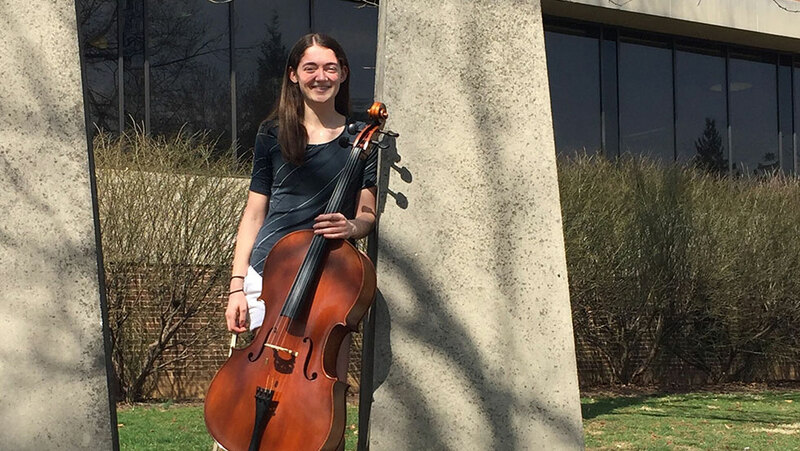 She has played with the College’s symphony and chamber orchestras and cello ensemble and sang with the college choir. While abroad, Kanakry plans to study their music education system to better prepare for teaching orchestra at the high school or middle school level. Kanakry first learned about the Fulbright Program through recent LVC graduates who received the grant, and then relied on her family for support through the lengthy application process. The College’s other two Fulbright finalists for 2019 are Spanish major Calyn Lutz ’19, who will be in Mexico, and Spanish and English double major Rachel Duong ’19, who will be in Brazil. Students interested in applying for the Fulbright Program or other fellowships should contact Dr. Philip Benesch at benesch@lvc.edu or 717-867-6326.